HELP is a new loan program offered by the City of Toronto to help you finance home energy improvements and save money on utilities. Upgrading home insulation, or replacing an old furnace, are just two examples of cost-effective improvements. Often referred to as retrofits, these types of improvements can reduce your energy bills, enhance your home comfort, and reduce greenhouse gases that contribute to climate change. The loan program assists many people who might not otherwise be able to finance the high upfront costs of home energy improvements. HELP Can Offer You a Solution! 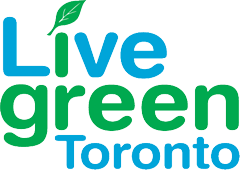 The HELP program offers Toronto homeowners low interest loans for improving their home energy efficiency. For interested homeowners, HELP provides the initial funding required for making the improvements. You will repay the loan over a given period of time through amortized installments on your residential property tax bill. The monthly savings after the home energy retrofits are complete will offset the monthly loan payments to the City of Toronto. By significantly increasing the energy efficiency of your home, you are protected against rising energy costs. HELP participants reduce their energy use by 25% on average and save some $800 a year on their energy bills. The HELP program allows homeowners to avoid the substantial upfront costs of home energy improvements. You could receive up to 5% of your property CVA (Current Value Assessment). The HELP loan is attached to the residential property - not the property owner. If you sell the property prior to loan repayment, the new owner assumes the loan balance and repayment. You can pay off your HELP loan without penalty at any time. Compared to conventional loan financing from an institution, you will benefit from much lower interest rates and longer repayment terms. Save on energy consumption, and save on seasonal utility bills, with a low-interest loan from the City of Toronto. energy efficient doors/windows, and improved home insulation. Start off by completing the HELP online application. When the required documentation has been submitted (and the application approved) you will enter into a loan agreement with the City of Toronto to initiate certain qualifying improvements - energy efficiency and/or water conservation. Improvement options are based on a home energy assessment. The maximum allowable funding is 5% of your property CVA (Current Value Assessment). Once your loan is in place, the City of Toronto will impose a charge on the participating property – it includes the cost of improvements, applicable interest, and an administration fee. As the homeowner, you will repay the loan over an agreed term. The payment obligation of the HELP loan is attached to the property, and not the owner. It is secured by a property lien through the City of Toronto, and if the property changes owners, the new owner assumes the loan repayment. The new owner continues to make payments to the City of Toronto until the loan is fully paid – the loan can be repaid at any time with no penalty. What types of home energy improvements are eligible? Complete a Pre-Application Form. The City of Toronto confirms your eligibility and the maximum amount of available funding. The total loan amount includes the funding, the interest, and an administration fee. The loan cannot exceed 5% of the property Current Value Assessment. If your home has a mortgage, the City of Toronto will provide documentation for your mortgage lender. Written consent is required from your mortgage lender before proceeding to Step 2. Your Home Energy Evaluation is conducted by a Registered Energy Advisor who assesses various aspects of your home - mechanical equipment; air leakage; and insulation performance. A Blower Door Test is performed to diagnose your home’s air tightness. The Energy Advisor uses data from your assessment, along with energy simulation software, to establish a real-life “energy rating”. With upgrade recommendations from your Energy Advisor, you can pinpoint the improvements and upgrades that will be performed in your home. After the work has been completed, you’ll book a final Energy Audit, at which time your home will receive an EnerGuide Rating Label. The official rating allows homeowners to apply and receive financial incentives, grants, and rebates. When the City of Toronto has approved your funding, you will be asked to sign a Property Owner Agreement - the funding agreement between property owner and City. You must sign the POA and return it. Once your POA is received by the City and certified by the City Clerk, you will receive an initial disbursement of 10% of your funding to get your project underway. Once your hired contractor has completed your improvements, you can book a post-retrofit assessment – again, with your Energy Advisor. Your improvements will be assessed and approved, and you will be provided with a new EnerGuide score. You must submit a Project Completion Report to the City which includes your final project costs and your new EnerGuide score. The City then sends a final disbursement cheque upon final verification. NOTE:Homeowners assume responsibility for all work performed: hiring/paying contractors; selecting building materials; quality control; provincial/municipal permits; and payment of all taxes. When your project has been completed, the City will notify you that a “special charge” has been levied on your property. Part of the “special charge” will be added to your annual tax bill. You repay the loan through 11 monthly installments each year. You will be automatically enrolled in a pre-authorized payment plan with automatic monthly deductions. At any time during the repayment term, you can make a one-time payout of the outstanding balance amount (without penalty). In doing so, the HELP loan is cleared from the property. The City of Toronto collects HELP loan payments in the same manner as property taxes. Payments are subject to the same penalties, remedies and liens as property taxes. EcoStar Insulation will simplify your home energy upgrades. We’ll recommend the home energy rebate that best suits your needs, and we’ll also recommend the energy upgrades that provide the best return-on-investment. There are a number of rebates available to homeowners in Ontario. The Home Reno Rebate Program (Union Gas) offers rebates for upgrading your home’s energy efficiency. You’ll need two Energy Audits (a pre-reno and a post-reno). EcoStar will perform the retrofits that are eligible for rebate. The Home Energy Conservation Program (Enbridge Gas) offers incentives for home energy upgrades that will lower seasonal utility bills. Working with a Registered Energy Advisor, you must perform at least two upgrades. The Investment in Affordable Housing (Ontario) offers rebates to building owners to make insulation upgrades. Rebates are available when installing high performance insulation that provides R-Values of R40 or greater. The Green Home Program (Canada Mortgage and Housing Corporation) offers up to 25% premium refund. The more energy improvements you make the higher refund. A Registered Energy Advisor would be required. The AffordAbility Fund (Ontario) helps electricity customers to make improvements that will lower electricity usage and therefore reduce electricity bills. To be eligible, your net income and monthly energy bill are considered. "We wanted to make our home more energy efficient and HELP was a fit for our needs. The renovations would add value to our property. It was an easy experience for us and we are very appreciative!" Eco Star Insulation has been serving the Greater Toronto Area since 2008. Our company mission is to provide affordable insulation solutions for every one of our customers. EcoStar Insulation © 2019All rights reserved.